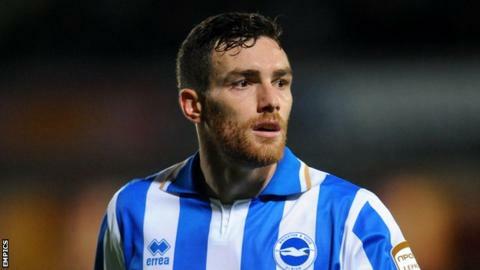 League Two leaders Gillingham have completed the signing of Brighton & Hove Albion's Romain Vincelot on a two-month loan deal. The 26-year-old, who can operate in midfield or defence, joined the Seagulls from Dagenham last summer. The Frenchman scored once in 20 appearances for Brighton in 2011-12 but has not featured this season. Gills boss Martin Allen said: "We have a few players missing due to knocks and felt it necessary to bring in another." He added: "He is a goalscoring midfielder who has scored goals in this division and achieved a promotion. He is a good signing."